The new Cooler Master N500 is a mid-tower designed for optimum cooling. 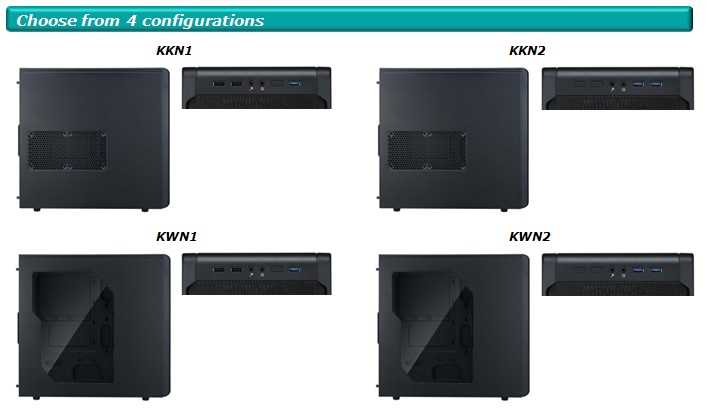 There are four models to choose from by single / dual USB 3.0 support and side panel window. To keep constant cooling, the front panel is fully covered by mesh, and thanks to the SickleFlow fans, N500 generates extreme high airflow and keep silence for long-time operation. 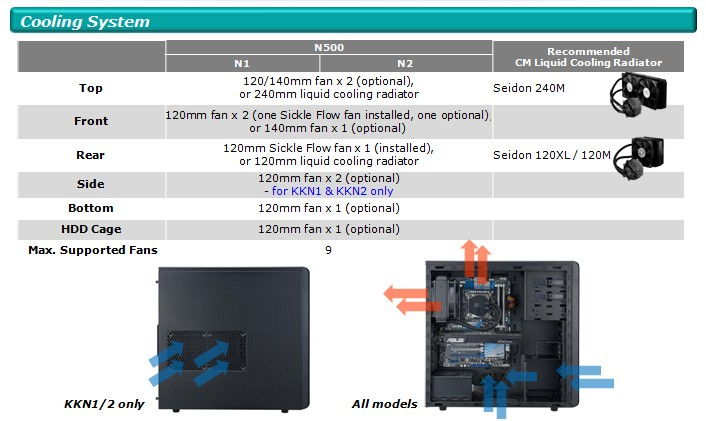 If you prefer liquid cooling solutions, installing 240mm or 120mm radiators in N500 won't be a problem as well. 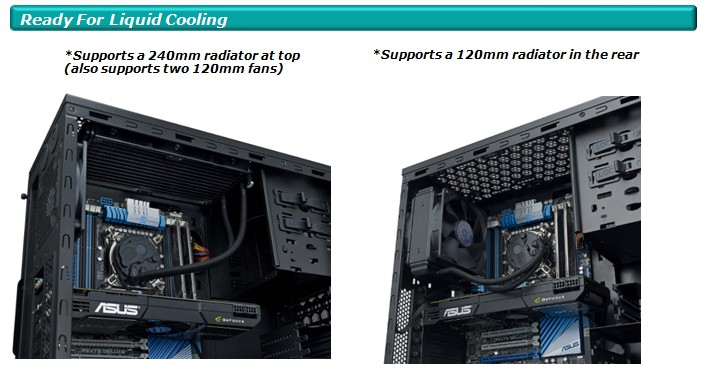 The 240mm radiator can be installed at the top, and the 120mm one - in the rear. 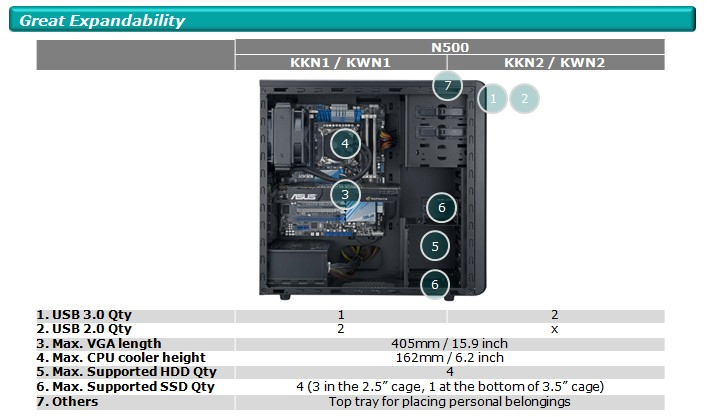 N500 also provides plenty of expansion by support of up to 4 SSDs, and the roomy interior can house high-end graphics cards up to 405mm / 15.9 inch while the SSD cage is removed.